And what better way to start than with a new mix, huh? To kick things off, I am very pleased to present this tribute to the Choci’s Chewns family of labels, purveyors of some of the finest UK Acid/Hard Trance to ever(ever) grace wax. This mix was picked out by competition winner Martyn Amos (whose own bespoke vintage Goa Trance mix was delivered to him on Christmas Day). Originally it was going to be a general acid trance round-up, along the lines of my previous mixes There Must Be A Future and Squat Rocking 5, but when I actually started going through my records I realized that it would be awesome fun to just do a mix of stuff that Choci released on his various labels, plus some remixes he did for other labels, and one tune from Choci associate and shop employee DJ Mishka’s own Efadrine label. For those of you who are unaware, Choci’s Chewns was a record shop and label based in Soho in London’s West End, run by long-time dj/producer Choci (duh). The shop was located in the basement of a building in St Anne’s Court, a narrow pedestrian cut-through between Wardour Street and Dean Street in Soho. Like all the best record stores, part of the pleasure was the anticipation – descending the stairs and hearing the music get louder and louder, knowing that soon you would get your hands on that sweet, sweet black plastic. I was a pretty regular customer for a few years at the end of the 90’s and the beginning of the 00’s, and it was consistently one of my favorite haunts for hard dance sounds, along with Kinetec near Oxford Circus, Basement Vinyl in Kilburn and Elite in Victoria. Their stock always included the best of UK and European hard trance, acid techno and hard house, and Andreas Mishka (who was mostly working there when I was going) was always friendly and frequently hooked me up with promos, which was no bad thing! What was the sound of Choci’s Chewns? Well, Choci’s labels specialized in exactly the tunes featured on this mix – hard, energetic trance, filled with memorable riffs, rhythms to bounce to, and enough acid lines to strangle a python. Whether in a dirty warehouse in the depths of pre-hipster Hackney or in big races at places like Brixton Academy or The Astoria, these tunes always rocked the spot like no other. 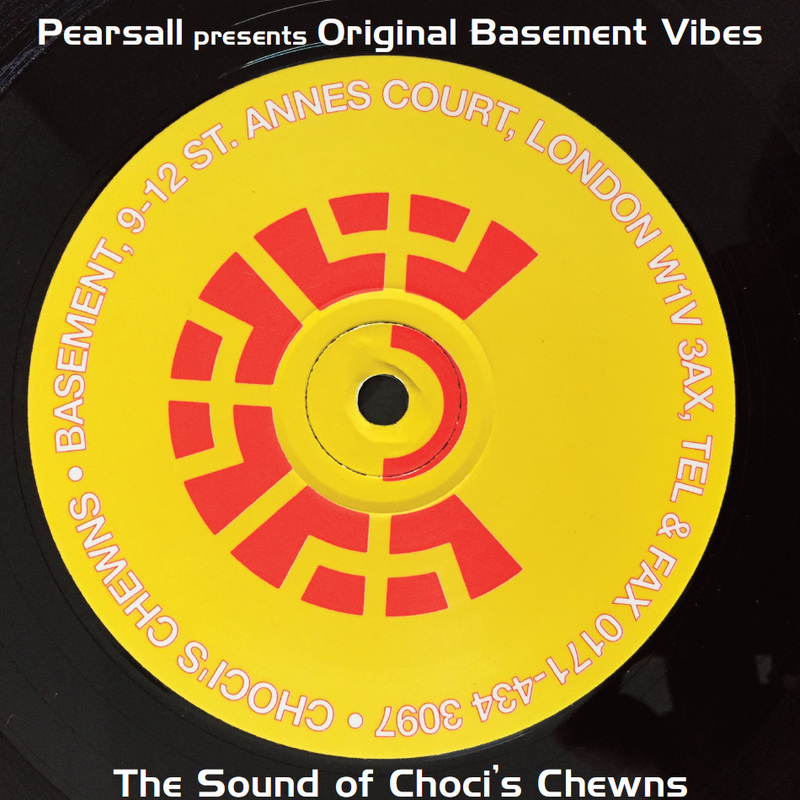 The sound of Choci’s Chewns, both the shop and the labels, was pretty much the soundtrack to some of my greatest nights out as a young guy – it was the fuel that drove parties like Pendragon, Escape From Samsara, Tectonic, Trancentral, Undertow, Antiworld, and many others to greater and greater heights of lunacy. I make no pretense that this is a definitive mix – I just pulled together a bunch of tunes that flowed nicely together and rolled it out. I’ve also deliberately used only tunes that I’ve not used on Hard Trance mixes before, which is why some of your (and my) favorites don’t feature. It’s also pretty heavy on tunes from the Voltage Controlled Frequencies label, but there’s no mystery behind that – it was my favorite of all the labels. I think it works pretty nicely … your mileage may vary, of course!